The HY79 communications headset earmuff hygiene kit fits a range of 3M Peltor Products, including ProTac, Tactical XP, FM-Radio, Alert and LiteCom. Maintain hygiene of communications headsets that see heavy use or multiple users. 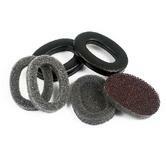 Includes sealing rings and foam inserts helps maintain hygiene of your headsets. To ensure maximum efficiency, comfort and hygiene, it is good practice perform inspection and maintenance of your ear defenders at least twice a year. Contains replacement sealing rings and muffler pads which can be replaced in a few easy steps. Keeps your hearing protection working in optimal condition for your comfort. 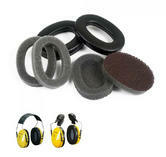 Peltor HY3 Earmuff/Headset hygiene kit extends the life of your earmuffs or headsets. Suggested replacement at least twice yearly to ensure a consistent level of protection and comfort. The 3M E-A-R Ultrafit 14 earplug uses unique filter technology to take the edge off low levels of harmful noise whilst allowing normal conversations or listening to broadcast music. Longer stem helps make insertion easier. Made from soft and durable material. Large space inside cups helps reduce moisture and heat build-up. It is moisture resistant, reusable and comes with a cord. 3M E-A-R Ultrafit 14 Reusable Earplugs UF-01-015 conforms to EN 352-2 standards. Designed for high performance hearing protection. Sealing rings are broad and filled with soft plastic foam for the best fit and low contact pressure. Very comfortable design, exceptional comfort for hours of wear. Noise Reduction Rating (NRR): 29 dB CSA Class AL. 3M Peltor H540B H10B Snr35 Optime Ear Muff Neckband conforms to EN352-1. Made from soft hypo-allergenic PU foam material to provide maximum comfort and low pressure inside the ear. Its smooth, dirt resistant surface helps improves hygiene. the tapered design fits most ear canals and is making the plugs easier to use. Designed to last these ear buds are extremly comfortable. 3M Foam 1110 Corded Disposable Earplugs conforms to EN 352-2 standards. Box of 100 3M Foam 1110 Corded Disposable Earplugs. 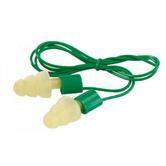 1100 Series Earplugs is made from soft hypo-allergenic PU foam material. 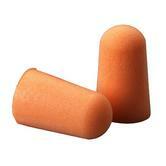 Soft disposable polyurethane foam ear plugs providing extra comfort. The bright orange colour permits high visibility and makes safety checks easier. The earplugs "1100" is created to provide maximum comfort and low pressure inside the ear. Smooth and dirt-resistant surface helps improves hygiene. The tapered design fits most ear canals and is making the plugs very comfortable and easier to use. 3M Foam Disposable Earplugs 1100R conforms to EN 352-2, Attenuation: SNR=37dB, H=37dB, M=34dB, L=31dB. 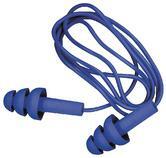 Soft energy absorbing polymer foam ear plug which provide excellent hearing protection and all-day comfort. 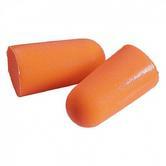 Roll down earplugs with cylindrical shape that fits most ear canals to create a reliable seal. Corded earplugs help prevent loss, available when required making it more convenient for intermittent use. Slow-recovery foam is both flame-resistant, and moisture-resistant. 3M E.A.R. 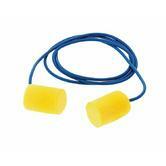 Classic Foam Corded Earplugs CC-01-000 conform to: EN352-2:2002 standards. 200 pairs corded for a more practical use. Hygiene Kit for the 3M Peltor Optime I Ear Defenders. Contains replacement sealing rings and muffler pads which can be replaced in a few easy steps for quick and easy installation. To make sure of maximum efficiency, comfort and hygiene. It is good practice to inspect and maintain your ear defenders at least twice a year. Ensures good function and hygiene. These earplugs are made from a slow-expanding polyurethane foam material. FX Uncorded Earplugs, bell shape and super-soft foam inserts more easily. The flange shape, when rolled down, serves as a very effective insertion device which makes the earplug very easy to fit. Seals is working more effectively to provide the highest SNR (39dB) available in the industry. The E-A-R E-A-Rsoft FX is highest protecting ear plug in our range today. Each pair is individually sealed for extra hygiene. 3M E-A-R soft FX Uncorded Earplugs conforms to EN 352-2 H=39 M=36 L=34 SNR=39. The 3M E-A-R Ultrafit Pre Moulded Earplugs UF-01-000 are made for the users whose job requires having ear protection on and off so the handyness of a premoulded ear plug is a key requirement. The unique one size 3M E-A-R Ultrafit Ear Plug fits most ear canals comfortably and provides an adequate level of noise attenuation SNR=32dB. The 3M Peltor Optime I offers excellent protection and is very lightweight providing high wearer comfort. It combines a low profile with spacious inner depth which makes it easy to combine with other equipment. The comfortable sealing rings are filled with a combination of fluid and foam. It is perfect for use in environments with moderate industrial noise, such as workshops, fabrication, but also suitable for outdoor tasks such as lawn mowing or in connection with hobby and leisure activity. 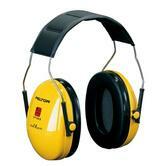 3M Peltor H510A Optime I Headband Ear Muff complies with EN 352. The Peltor 3M Optime III overhead ear defenders are a high performance hearing protector and has been developed for use in extremely noise environments. 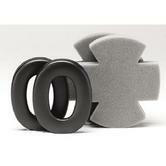 The 3M Peltor Optime III sealing rings are broad and filled with soft plastic foam for the perfect fit. Low contact pressure, the earmuff stands for effective protection and highest comfort for the wearer. Height adjustment and flexible adaption to size and shape of head. The 3M Peltor Optime II come with sealing rings which are filled with a unique combination of liquid and foam. The result is an optimal seal with low contact pressure, which provides snug comfort even during long term use. The sealing rings have ventilation channels that are covered with a soft, hygienic foam. Optime II is a suitable choice for environments with high levels of noise or construction machinery, airports and agricultural work. 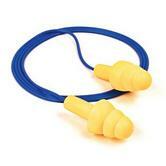 Soft energy absorbing polymer foam ear plug which provide excellent hearing protection and all-day comfort. 200 pairs. The 3M E-A-R Classic Earplugs are made from a soft energy absorbing polymer foam which provides excellent hearing protection and all day comfort. Proprietary soft energy absorbing polymer foam, exposed cell surface texture resists movement and helps maintain effective seal. Ideal for use where noise is a problem, either in work or leisure activities, excellent sound attenuation characteristics: SNR=36dB, H=36dB, M=33dB, L=29dB. 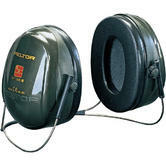 The Peltor by 3M H540P3G-413-SV earmuff is a high performance hearing protector and has been developed for use in extremely noise work environments. The protection is based on a technology with a Double casings technology, helps minimise resonance effect. An acoustic connection between the inner volume and the volume between the casings in its turn provides low-frequency attenuation. Large space inside cup helps reduce moisture and soft wide cushions helps reduce pressure around the ears and improves wearability and comfort. Easy to replace cushions and inserts helps keep them hygienically clean, effective protection and highest comfort for the wearer. Optimum seal is achieved by using a unique combination of liquid for sealing around the rings . Ideal for use in noisy environments, with noise levels low to medium. Ideal hearing protection against noise arising from environments with substantial industrial noise or construction machinery, like airports and agricultural work. Soft wide cushions helps reduce pressure around the ears and improves comfort and wearability. Low contact pressure making them a comfortable wear. Easy to replace cushions and inserts helps keep them hygienically clean. 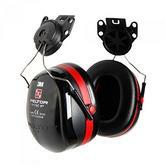 3M H520P3E Peltor Optime 2 Helmet Mounting Ear Muff conform to: CE, EN352-3:2002. SNR = 30dB H = 34dB M = 28dB L = 19dB. 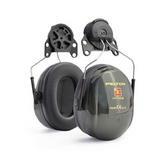 These ear defenders minimize the resonance in the holder casings and ensures the maximum high-frequency muffling. Made for use in extremely noisy environments - SNR 34 dB. The sealing rings are made with soft plastic foam for the best fit, comfort and low contact pressure. The 3M PP-01-002 earplugs are made from soft polymer foam providing excellent hearing protection and all-day comfort. Low equilibrium pressure helps reduce the pressure in the ear canal therefore increasing comfort and wear-ability. Comes in a box of 250. Metal detectable earplugs for maximum traceability, especially appropriate for the food industry. The user is urged to confirm detectability with in-plant equipment to determine proper operation. A surgical grade ball bearing is permanently fitted into the stem of each ear plug, making them metal detectable. Can be sensed by most standard metal detectors (including those designed to reject metal combinations equal to or less than 2.78mm. 3M E-A-R Reusable Earplugs Corded TR-01-000 conforms to EN 352-2 SNR=32dB L=25dB M=28dB H=33dB standards. Box of 50 3M E-A-R Corded Reusable Ear Plugs TR-01-000. The 3M Peltor Optime offers versatile protection and is very lightweight providing high wearer comfort. It combines a low profile with generous inner depth which allows the ear to rest comfortably. The wide comfortable sealing rings are filled with unique combinations of fluid and foam. It is ideal for use in environments with moderate industrial noise, such as workshops, sheet-metal shops and printing works. Suitable for outdoor tasks such as lawn mowing or other hobby and leisure activities. Made from soft hypo-allergenic PU foam material. 1100 Series Earplugs made for maximum comfort with low pressure inside the ear. Polyurethane surface is smooth, dirt resistant, helps improves hygiene. The unique 3M tapered design fits most ear canals and the plugs is easier to use. Large space inside cup - reduce moisture and heat build-up. High durability, quality and comfort. 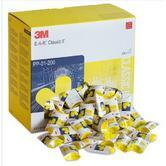 3M 1100 Foam Disposable Earplugs SNR=37dB conforms to EN 352-2 standard. 3M 1310 earplugs feature a unqiue flexible band which allows for easy manipulation and together with the soft round foam ear plugs provides a reduced pressure and a comfortable seal. The 1310 earplugs are designed to fit behind the head or under the chin with minimal contact with clothing. Reusable. 26dB SNR. Slow recovery foam, No roll down required. Round plugs do not enter the ear canal for better hygiene and less risk of irritation. 3M 1310 Banded Earplugs conforms to EN 352-2 H=30 M=22 L=19 SNR=26. Bright colour for easy safety checks. The 3M Peltor X1 Ear Defender X1A offers standard attenuation (SNR 27dB) that protects the wearer's hearing from light to moderate noise levels. Ideal for protection against noise generated by power drilling, lawn mowing and other grounds maintenance activities. They are ideal for use at home when gardening or doing DIY, but also meet the needs of most industrial applications. Soft wide cushions help reduce pressure around the ears and improve comfort and wearability. Attenuation: SNR=27dB H=32dB M=24dB L=16dB. 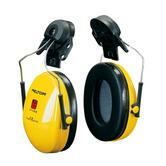 3M Peltor X1A SNR 27dB Headband Ear Defenders conform to: EN352-1: 2002 standards. When 3M took over E.A.R. they confirmed their position as the Leaders in Hearing Protection, with a range of 3M E.A.R ear plugs, as well as the market leading 3M Peltor Optime 1,2,3 range of ear muffs. Measure the noise at work with a 3M Noise Indicator - it's a handy, small ,portable, noise monitor (Our code PNI01PC). Once you know the current noise levels (db) in the workplace, you can best choose the most suitable ear defenders to reduce your exposure to the noise levels. Earmuffs or Ear Defenders: whatever you call them, they should cover your ears fully, fit tightly, and have no gaps around the seals. Earplugs: They go right into your ear canal, not just across it. Some types you use only once (disposable), others can be re-used and even washed. When it comes to hearing protection, we dont want to hear any excuses: Here you can choose from the basic 3M E.A.R. Classic Foam Earplugs to the 3M Peltor H540A Optime III ear defender performing 35dB Sound Noise Reduction (SNR). We are tempted to use them at home? It is a established fact that noise can have serious consequences at physiological and psychological levels. In effect, noise creates a real pollution for everyone's health. EN 352-1, EN352-2 and EN352-3 standards deal with safety requirements and tests, individually regarding head fasteners, earplugs, and head fasteners fixed on protective industrial helmets. These standards create requirements in regards to the manufacture, design and performances, test methods and the instructions involving the marking and information intended for the users. These standards specify the provision of information relating to head fasteners acoustic fading characteristics, measured in predictability with EN 24869-1 : 1992 standard, and therefore specify a negligible fading level necessary to create their conformity with the present specification. Only hearing protection products with an suitable certification mark can be selected. 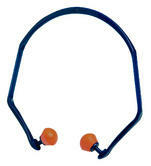 All the hearing protectors has the EC marking mandatory by the personal protective equipment directive. In selecting hearing protection, it is vital to acknowledge the laws, regulations, uses and techniques. The previous criteria underline the general points for consideration when selecting. For further details concerning selection please refer to the European standard EN458 : 1996 (Title : Auditory protection - Recommendations for selection, use and maintenance). At noise levels above 95dB you will need to get an accurate noise valuation to correctly select the right ear plug or ear muff. Green and yellow marked products are NOT appropriate for use in low frequency noise. Choosing the correct hearing protection for your needs can be difficult. You need to make sure you provide the correct level of defence to ensure that workers are not over-protected and that a suitable product is chosen. 3M E.A.R. and 3M Peltor have developed this easy-to-use selection system that helps correct choice. The system uses a simple, logically coloured grouping to make the selection process easy. 1)Find out what your noise level is? 2) Then look at the above icons and create which band (RNR) the noise level falls into. rnr* - 85dB You don't have to wear hearing protection, but it must be made obtainable to all exposed persons. rnr* - 83dB - 93dB You're above the level, hearing protection is obligatory. rnr* - 87dB - 98dB You're above the level, hearing protection is required. Perfect for high frequency noise. rnr* - 94dB - 105dB You are above the level, hearing protection is required. Ideal for high and medium frequency noise. rnr* - 95dB - 110dB You are above the level, hearing protection is required. Ideal for all frequencies.